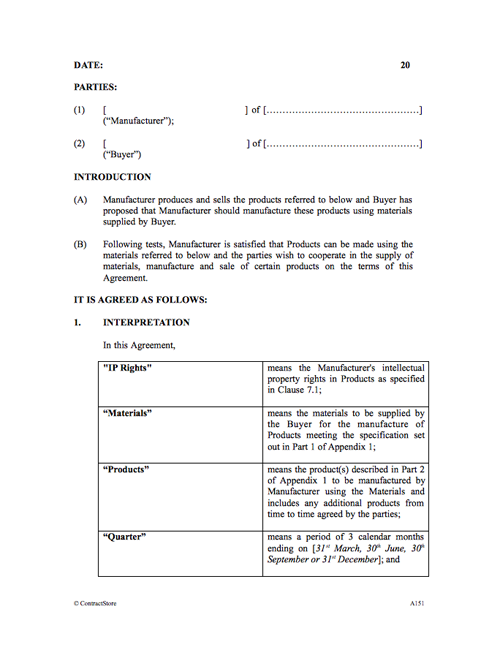 Who can use this Supply Manufacture & Sale Agreement? 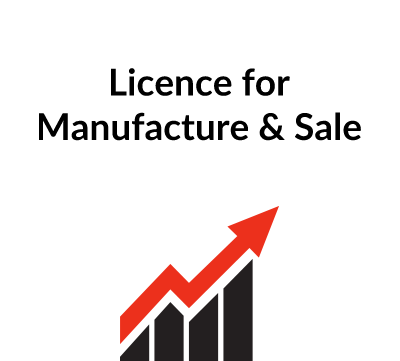 A manufacturer and a customer who may supply some of the raw materials and who has exclusive rights to buy and resell the finished products can use this supply, manufacture and sale agreement. What is this Agreement for? It details the terms agreed between manufacturer and buyer. It also contains schedules specifying the products to be manufactured and the materials being supplied by the buyer for incorporation in the manufacturing process. It is suitable for a cross-border arrangement – with manufacturer in one country, buyer in another. Agreeing on the process so that the manufacturer has advance notice of the quantities of products to be made and of the materials to be supplied. This will usually involve forward estimating followed by firm orders and delivery dates. So, every order will involve a separate contract. Pricing and payment terms will probably involve adjustments to allow for cost increases etc. Duration: This is likely to be quite long term – e.g. an initial 2 years contract which can be renewed for further periods. Patents and intellectual property rights should be spelt out. Termination. 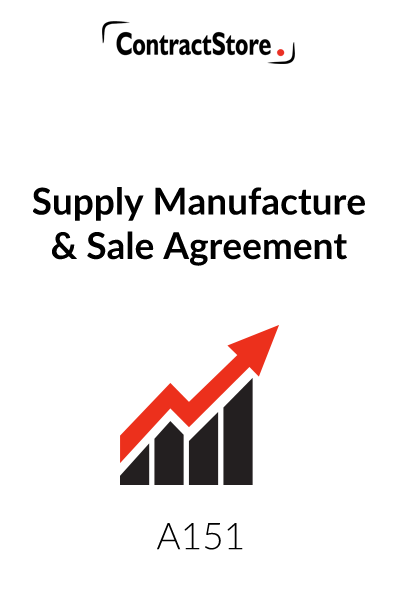 Bringing this type of contract to an end can be complex, especially if there are outstanding orders or unsold stock and the issues need to be dealt with in the manufacturing agreement. ContractStore supplies templates and is not a law firm. But experienced lawyers write all our templates. So, we can arrange legal assistance for customers who need special terms in one of our documents or a bespoke template. . For more information see our Legal Services page. This Agreement contemplates an arrangement where a company enters into an arrangement with a manufacturer in another country to supply materials to the manufacturer and then buy the finished products for resale in an agreed territory. A Buyer buys for resale and each order placed by the Buyer will constitute a separate contract. Unlike an agent, a Buyer is selling on his own account and not on behalf of the Manufacturer. Both parties will nonetheless want to be sure that the Buyer has adequate information and literature concerning the products as well as having a workforce capable of handling sales and any after sales or maintenance which may be required. This is the date upon which the Agreement is signed – not necessarily the date upon which it comes into effect – which is dealt with in clause 2.3. Here set out the full name of each of the parties and the official address of that party – if it is an English limited company, this will be the registered office. We have inserted 5 definitions including that of the territory which needs to be defined. The territory may cover a complete country, part of a country or more than one country, but whatever the case, be sure to define it properly – do not, for example, say “any country in South East Asia” since there could be an argument as to what is meant by the South East Asia. The materials to be supplied by the Buyer need to be very clearly specified in the Appendix because if the Manufacturer has problems in the manufacturing process or an argument arises on whether the quality of the products is acceptable, it may be argued that the material is outside the agreed specification. Preliminary testing before the Agreement is signed at all is recommended, and if this is not possible, the Agreement could have a preliminary testing period. Products also need to be clearly defined in the Appendix. 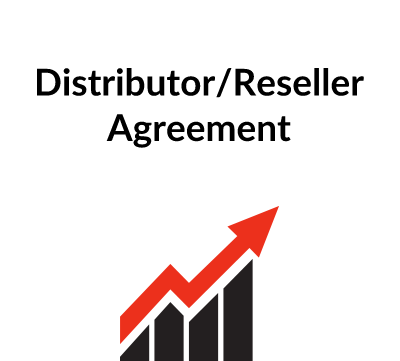 This clause sets out the two-way nature of the agreement: the Buyer supplies materials and purchases completed products as re-seller in the Territory, while the Manufacturer appoints the Buyer as its sole customer and exclusive distributor in the Territory. In clause 2.3 the date upon which the Agreement comes into effect should be stated as well as the initial period – say 2 years. If notice of renewal is required, clause 2.3 might say that it will expire at the end of the initial period “unless it is renewed by agreement between the parties at least 3 months before the expiry date”. This clause sets out the arrangements for ordering and for the supply of the materials and includes provision for the Buyer to give the Manufacturer estimated requirements in advance so that he can plan accordingly. Clearly, the precise details of this clause will need to be tailored to the particular arrangements in place within the relevant organisations. Clause 3.3 makes is clear that each sale constitutes a separate order for goods. 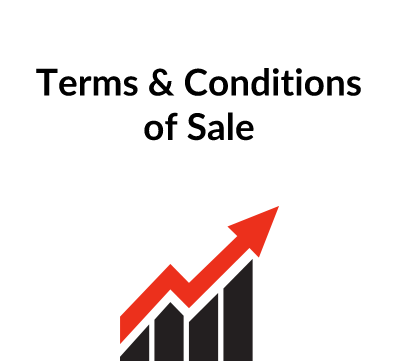 Each order may be governed by Manufacturer’s standard Terms & Conditions of Sale or (as stated here) Buyer’s Terms & Conditions of Purchase, or perhaps an agreed set of terms & conditions will be developed. It may be sensible to state that a copy of the agreed terms is annexed to the Agreement so that there is no doubt as to terms which are to be incorporated. Clauses 3.4 to 3.6 deal with the shipment of materials by the Buyer and their collection and inspection by the Manufacturer. More detailed or different terms may be needed depending on particular circumstances. Clause 4.1 refers to the prices to be paid by the Buyer for the products. Our agreement contemplates that the Buyer will supply materials free of charge – and this will be reflected in the price he pays for the finished products but if the materials are also to be paid for by the Manufacturer, this clause would also refer to the pricing and payment terms of the materials. Clause 4.3 provides for payment to be within a specified period. (A Manufacturer is likely to require payment on a letter of credit but we have not specified this in this version of the Agreement. If this is required, wording may be needed to the effect that all payments shall be made by irrevocable letter of credit and confirmed by a reputable bank located in the country where Manufacturer is based. Clause 4.5 makes it clear that the Buyer is responsible for all charges and customs clearances at the port of arrival. The list of obligations is fairly short and reasonably self-explanatory. This clause contains a number of obligations on Manufacturer with respect to manufacture, marketing literature, training, technical support etc. This clause assumes that the intellectual property rights in the products belong to the Manufacturer. It is usual for a Manufacturer to protect its IP rights and such a clause has been included here. Another purpose of this clause – in 7.3 – is to ensure that the Manufacturer is notified by the Buyer if, for example, counterfeit goods appear in the territory. To the extent that information passing between the Manufacturer and the Buyer is confidential, this clause imposes confidentiality obligations on both parties. It is useful to specify the consequences of termination and these are dealt with in clauses 9.2 to 9.5. 10.1 Assignment. The relationship is one which would not normally be assignable and an express prohibition on assignment is included. 10.2 Sub-contracting. This is drafted so as to make it clear that the Buyer has the right to subcontract its role to others. 10.4 Language. This specifies the ruling language. Where the Agreement is translated into another language and both versions are signed, it is advisable to specify which is the ruling version, in case of any discrepancy. Equally important, when this happens, an independent check of the translation should be made to ensure that it is an accurate translation. 10.5 Entire Agreement. Quite often a Buyership agreement is only entered into after a course of dealings and/or an exchange of letters. The purpose of this clause is to make it clear that the Agreement replaces those earlier arrangements. 10.6 Resolution of Disputes. The Manufacturer objective of this clause is to have any disputes which may arise resolved by an independent tribunal, not necessarily in the territory of either Manufacturer or Buyer. This clause proposes arbitration in accordance with the UNCITRAL (United National Commission on International Trade) Rules. See our separate notes on Dispute Resolution – a free download on our website, under Miscellaneous Documents. 10.7 Governing Law. The law of the Buyer’s territory would normally be selected by the Buyer as the most appropriate. Each party should ensure that the Agreement is signed by a director or other duly authorised officer where the parties are limited companies. The signing clause assumes that each signature will be witnessed by a third party. It is usual for two copies of an Agreement to be signed by both parties with one signed copy retained by each of the parties.